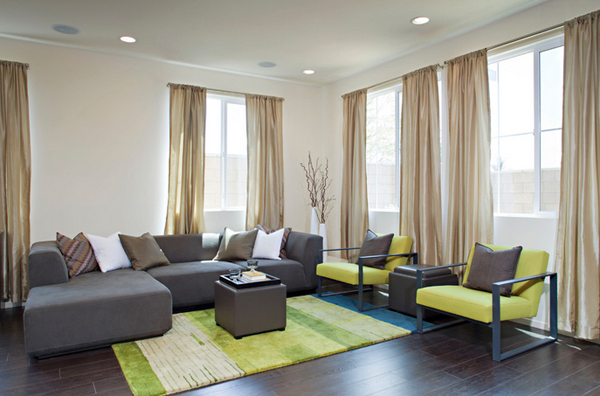 Green knows no style boundaries – whether your design tastes veer toward traditional, contemporary or even modern. 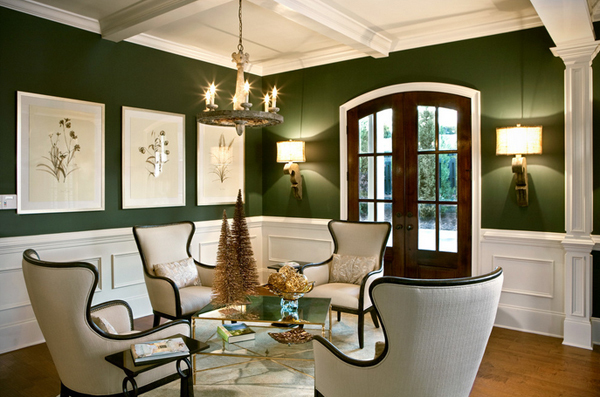 It is no surprise that like black and white, green goes well with anything – but of course, using whites and neutrals is always the safest and best course for greens. 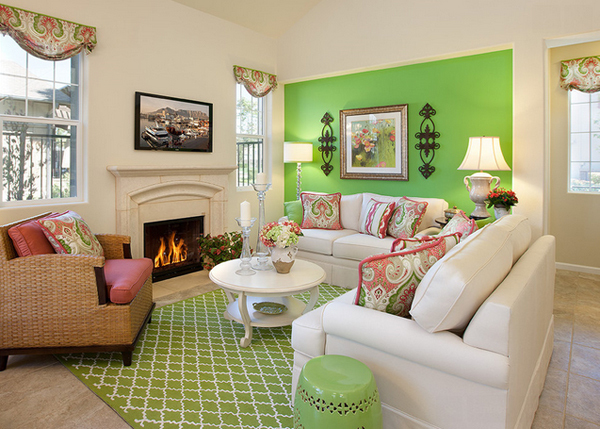 Below is a list of awesome spaces that explore the design of white and green living rooms. It is actually good to know that green makes any space as stunning as it already is because since I was in college, this was my favorite color – from my shoes, to my bags and even notebooks and shirts. It was a bit crazy since our departments color was green – primarily the main reason for me of loving the color. With that in mind, check out the pictures below! 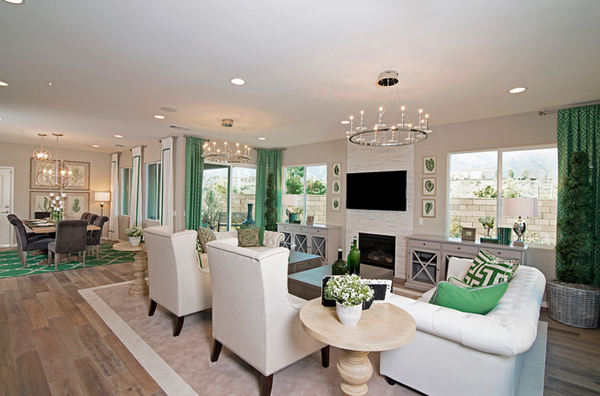 Green accents give this space a bold look. 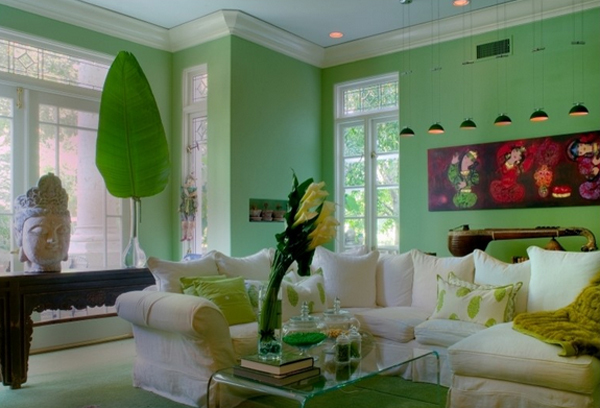 This space actually looks like an English space with all the elaborate seating and decor – love the green walls in this living room! Bright hue plus white. 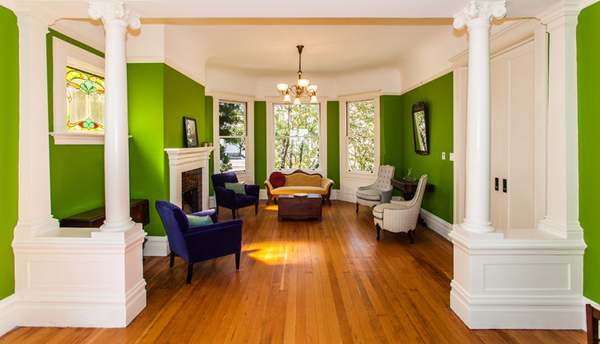 Celery green was used here, but nearly any bright hue would work. The key is to balance a big splash of color (like the accent wall and rug here) with plenty of white, and keep other colors to a minimum. 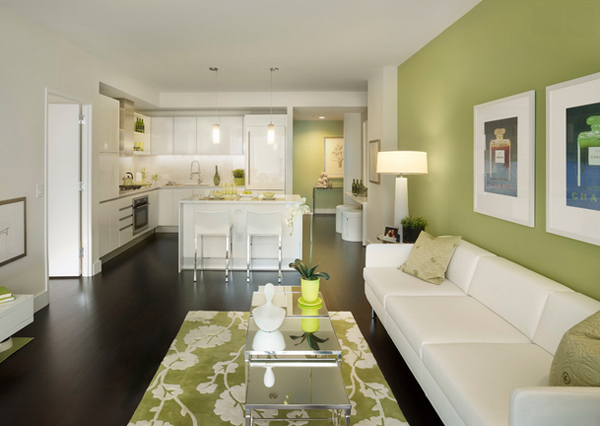 Light green walls makes this space clean and fresh! 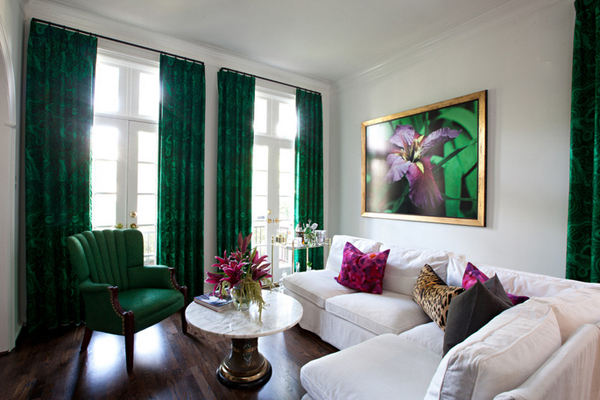 The emerald colors in this living room like the drapes and the accent seat is totally gorgeous! You don’t have to have a perfect reflection of one side of the room on the other, but a general balance is very pleasing. 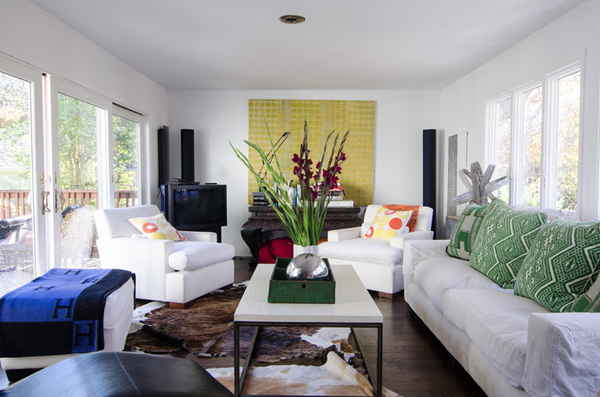 Note the matching side tables, lamps, artwork and pillows along the back wall of this room. That is just enough symmetry to give the space a pleasingly balanced feeling. 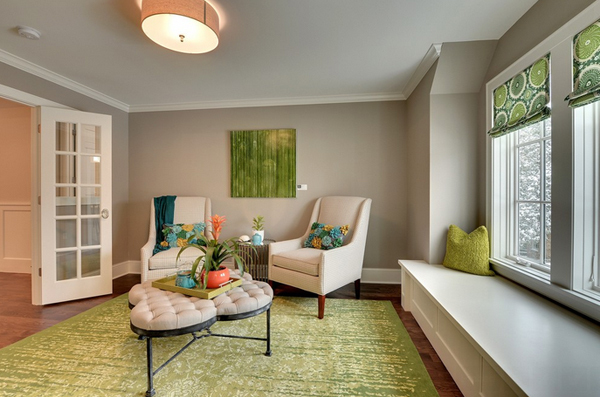 Green and grey actually go together well – pairing it with white walls makes a whole lot of difference. In nature, green is perfectly paired with vibrant colors. This is evident when we look at flowers in a garden: red roses, pink tulips, purple hyacinth. You can create the same feel in your home by selecting a green wall color that represents a plant’s foliage or a tree’s leaves. 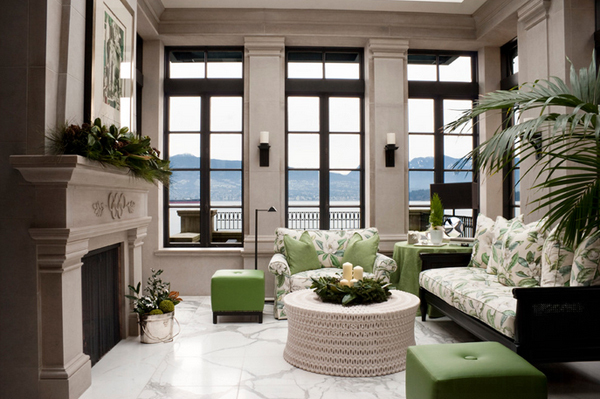 The gorgeous plants in front of the green drapes are cool, don’t you agree? Totally into the graphic rug and black walls against the white drapes, seating and the fireplace. 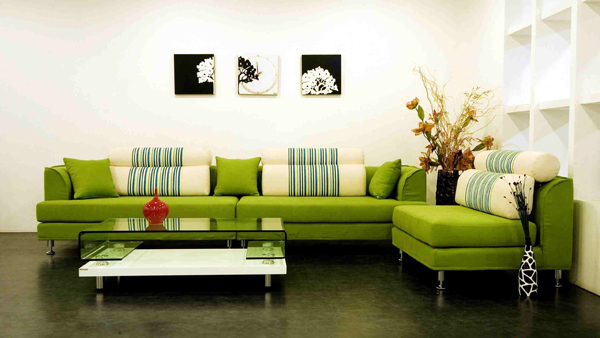 This sectional has this green apple color to it that is pretty and look great against the white walls and dark flooring. 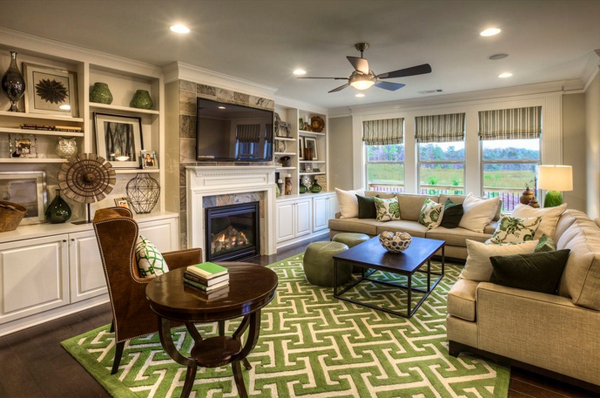 The area rug’s shade of green is perfect for this space. Note the cute ottoman/coffee table too. Don’t you just love contrast of dark window frames? 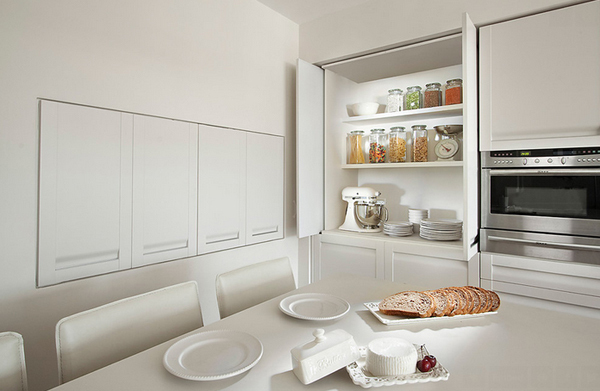 In an almost white space, putting hints of color makes a room prettier and brighter too! A splash of color goes a long way! Don’t you agree? The use of decorative single panels simply hung on either side of the windows soften the light, even though they do not fully close. Here’s the same palette translated in a living room. Fresh! The Lee Jofa Laurence sofa has a ribbon edge trim in the same green hue. 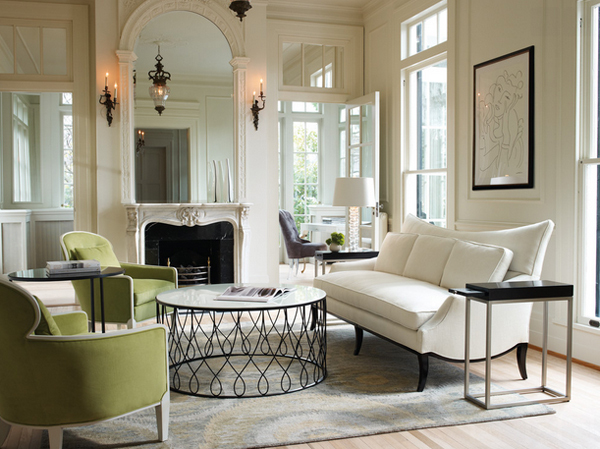 The imperial trellis armchairs and the leafy textiles of the side chairs add interest to the otherwise crisp and clean look of the white furnishings. Those spaces were incredible! 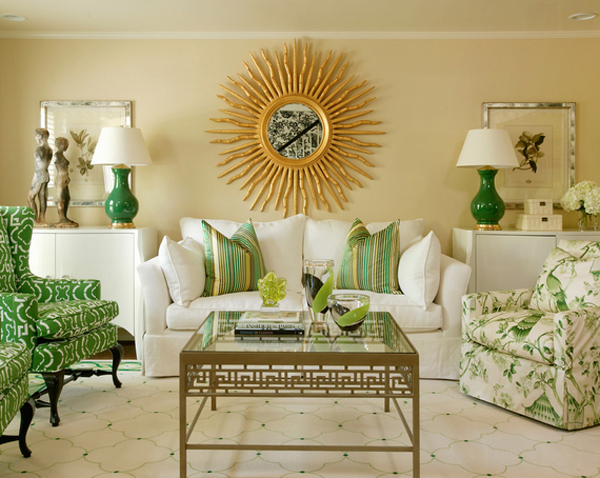 Being matchy-matchy with white and green is just lovely and you will actually observe a soft play of neutrals and grays in the living rooms above. If you want check out some similar green spaces in Home Design Lover, you can always see a list about them. Pretty stunning spaces that will definitely inspire you!